Posted by Christina Ruiz & filed under Flipbook, Wordpress. If you create highly visual content, a Yumpu Flipbook is a great way to display your work in a convenient way that won’t ruin your blog’s responsiveness. It’s something different – a way to stand out in your niche. Start today with Yumpu.com! Through Google Analytics, you can see which of your posts are getting the most traction. 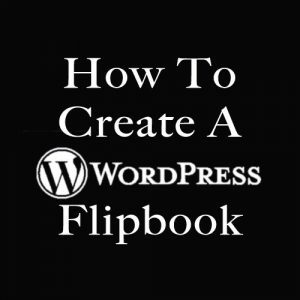 You can reuse your best blog content to save time on creating a flipbook wordpress. First, you’ll need to design a PDF ebook containing your content. You can write new content, or you can paste your existing popular content into Adobe Acrobat to create your PDF file. If you don’t use Acrobat, there’s a ton of other ways to design a professional PDF of your blog content. You can also use Microsoft Word. Type up or copy and paste your content into a Word .doc file, insert a cover image on the first page, and save it as a PDF. Pages for Mac is yet another professional book publishing plugin that allows you to save files as a PDF. If you’re not handy with PDFs, you can also make a flipbook from scratch using the FlipSnack online editor. You may want to include links to your blog within the PDF file to ensure that no matter where readers find your PDF flipbook, they will know where to find more of your content. This can also be a good way to build backlinks; many flipbook platforms are SEO friendly. Copying and pasting your blog content into PDF editors can take time, and you may not enjoy reformatting every page. 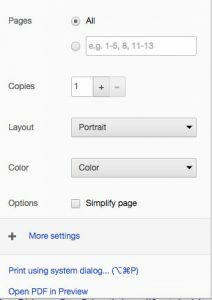 There’s another trick to capturing your blog content in a PDF: Visit your post, click “Print” and look for an option to view the printing area as a PDF. Voila, you have your entire post exactly as you published it on your WordPress site. You’ll end up with multiple PDFs, one for each blog post. You’ll need to combine them. Most of the above PDF editors allow you to open and combine multiple PDF files. In a pinch, you can also use a service like PDFMerge. Flipbooks are highly visual, so it’s best to include an eye-catching cover and additional images inside the content. Once you have created your PDF, added a cover, links, and graphics, you’re ready to upload your PDF onto a flipbook online publishing platform like FlipSnack, Issuu, or other alternative flipbook publishing sites. You’ll need to register and log into an account on any of these sites to begin creating a library of your flipbooks. Once you get the hang of it, you’ll want to create many more! Then, go to your published flip book at WordPress and look for an “Embed” link. You’ll get a code to copy and paste into any blog post or web page. 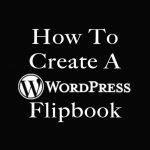 Once you copy your embed code or link, open your WordPress editor for the page or WordPress blog post on which you’d like to embed your flip book. It’s best to publish just one flipbook per page, with little other distracting graphics or content. If your theme allows, choose the Full Width page template on the right of your content editor to remove sidebars – it’ll display your flipbook with the full width of the page for better enjoyment. You may need to switch from Visual to Text editing mode to ensure that your code turns into a flipbook. 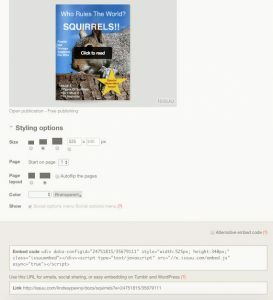 Then, click Preview to check out your WordPress flipbook before publishing. Flipbooks are ahead of the curve. While many blogs offer free PDF opt-ins as bonus content for their blog subscribers, they miss out on a lot of readership from those who are not able to or prefer not to download PDFs. Some users do not feel comfortable navigating PDF files and other typical ebook formats. You can refer your email subscribers to a link to your embedded flip book in an automated message. You can even password protect the page to ensure only your subscribers will be able to have access. You can use Yumpu to display your portfolio without the hassle of PDF downloads, or unreliable web links. 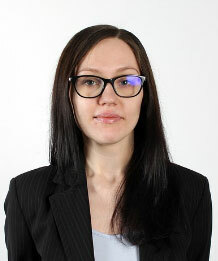 It also presents your work in a stand-out, professional way. You can also use this amazing publishing software to create online brochures, shopping catalogs, and other highly visual content that deserves a smooth, realistic reading experience. Create your personal flipbook now with Yumpu.